The number of sleep solutions available for newborns and infants can be quite overwhelming. Even once you have narrowed it down and know that you want a co-sleeper cot for your bundle of joy before he arrives, you still have many options to choose from. Of course, everyone has their own personal tastes, but if you are looking for one sleep solution that can last you through the first few years, as opposed to having to switch from a bassinette to a crib to a bed, then you’re in luck! The Arms Reach Universal Co-Sleeper is quite a versatile option that can transition from a co-sleeper, to a full sized playpen/crib for once your baby is pulling himself up. 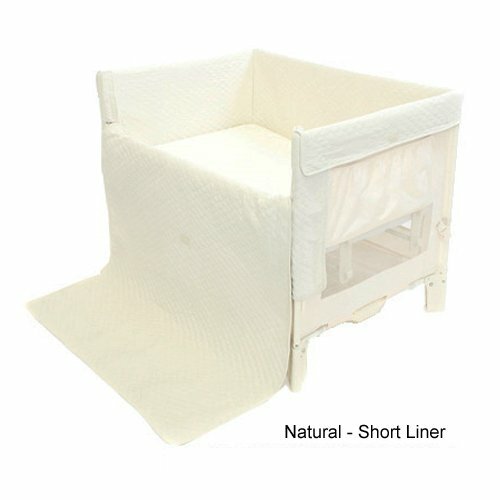 If you have explored this site even just a tiny bit, you know we love co-sleeper cots because they first and foremost represent the ability to practice safe sleep habits for your baby, while giving you the kind of easy access to him that is usually only possible through bed-sharing. So, first, the Arm’s Reach Co Sleeper certainly has that going for it. 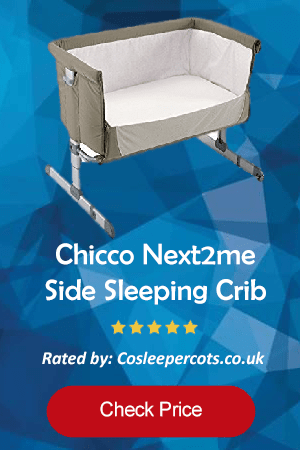 It can be securely attached to any style and size of bed and can have one side lowered, keeping you in view and “arm’s reach” throughout the night for easy soothing and nursing. But what makes this co-sleeper special is its longevity and versatility. First of all, the size of the co-sleeper space and the sturdiness of the structure are made so as to accommodate twins safely. This is, of course, fantastic news for mums with twins! But, it is also good news for those with just one tiny tike, as it means lots of room for growing! Second, while the co-sleeper portion will only last you until your bundle of joy is able to pull himself up, the Arm’s Reach co-sleeper crib can be converted to a traditional crib/play pen once this happens. What this means is that instead of having to purchase a co-sleeper for the first 6 months, and then having to have a second crib and/or bed ready to go after that, you can simply make this single purchase and convert it once the baby has reached the appropriate stage. Subsequently, you will not need to look for a new bed for your kiddo for at least 2-3 years. Third, the system installed on this crib for attaching it to the parent’s bed enables it to be compatible with all sizes and types of bed. Furthermore, if it is not the right height for your bed (in other words, if when the side is down, the baby’s mattress and your own are not even), you can purchase a separate leg extension pack to adjust it to your bed. Finally, while it is a big bulkier than many co-sleepers, it still comes with a travel case and can be transported so that you don’t have to worry about baby not getting a good night’s sleep should you need to go on a trip.